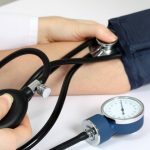 You are here: Home / Heart Disease / Coronary Artery Disease / Earlobe Crease And Heart Disease – Fact Or Myth? 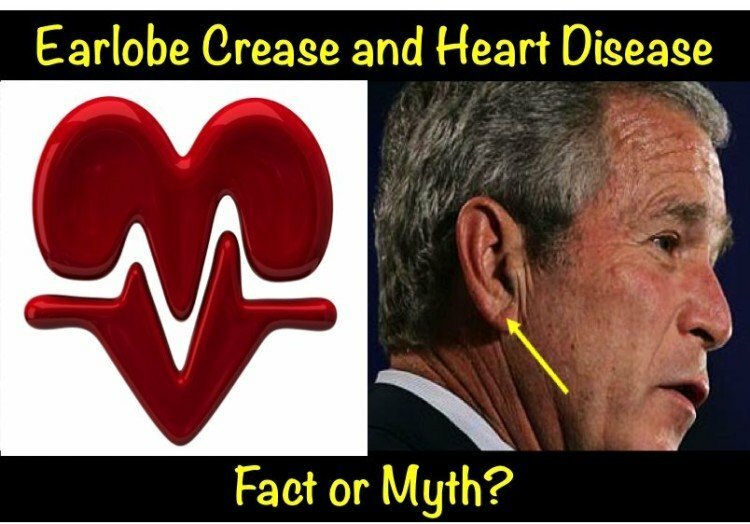 Earlobe Crease And Heart Disease – Fact Or Myth? In 1973, a physician called Sanders T. Frank had a letter published in the New England Journal of Medicine describing 20 of his patients with an earlobe crease, who were under 60 years old, with angina (chest pain) and proven coronary artery blockages. This study was the first to describe such a possible association between heart disease and an earlobe crease. However, there was no normal group to compare this to, making it scientifically inconclusive. Since then numerous studies, including those with control groups, have backed up the association. But what does all this mean? When determining associations we need to ask a number of important questions. 1) Does the data support a true association of an earlobe crease and heart disease? 2) If there is an association, is this just due to the fact that the earlobe crease is associated with already established risk factors for heart disease? 3) Is the presence of an earlobe crease independently associated with heart disease? 4) If there is an association, what is the explanation? After the initial report in 1973, a number of other reports surfaced. In the 1970’s-1990’s many studies reported the existence of an earlobe crease was more common in those having had a heart attack as compared to those that hadn’t. Some smaller studies have even looked at the predictive significance of an earlobe crease. One study followed 108 people and reported that patients with an earlobe crease were more likely to have cardiac events than those without. This was reinforced by larger studies looking at the same topic. Autopsy studies have also been conducted to investigate this association. Studies from the UK demonstrated that those with earlobe creases were almost twice as likely to have coronary disease. A study from Sweden showed similar findings. One recent study of 450 Chinese people demonstrated that in those undergoing angiography for the investigation of heart disease, around ½ of those without significant blockages had earlobe crease, whereas ¾ of those with significant blockages had a visible earlobe crease. Another similarly designed study with Turkish participants demonstrated that earlobe crease was associated with risk factors for cardiovascular disease and the presence of coronary artery disease. The association remained, even when accounting for the effects of the risk factors suggesting that earlobe crease was independently associated with heart disease. It’s important to note there are studies that did not show any association between having an earlobe crease and cardiovascular outcomes or the presence of coronary artery disease. Many of these studies had several hundred patients and showed that the proportion of people with cardiovascular disease was similar in both groups. One of the studies concluded that earlobe crease is more likely with advancing age, and it is in fact age that drives the association. It was thought however that the earlobe crease was associated with coronary artery disease only because it was also associated with the presence of other risk factors such as smoking, diabetes, obesity and blood pressure amongst others. Studies then began to emerge suggesting that the presence of earlobe crease was independently associated with the presence of coronary disease. The largest study to date, and probably the most powerful was reported this year. Almost 11,000 Danish participants were followed for up to 35 years. All participants were free of known coronary artery disease at the beginning of the study. The study found having an earlobe crease was significantly associated with an increased risk of developing clinically significant heart disease. The chance of having a heart attack, or ST-segment elevation myocardial infarction, also rose among the people who had a defined earlobe crease. These associations were found to be independent of other, well-established cardiovascular risk factors. Was Emperor Hadrian’s Earlobe Crease the Cause of His Demise? The presence of a diagonal earlobe crease has also been associated with the death of Emperor Hadrian who was believed to die from coronary artery disease and heart failure. It was noted that both the bust of Hadrian in Greek and Italian museums had clear earlobe creases. Why Would Having an Earlobe Crease be Associated with Heart Disease? It was initially thought that earlobe creases and heart disease would occur together, as both are supplied by end-arteries without the chance for other arteries to take over blood supply when damage occurred. Some studies suggest that the processes that underlie aging – such as elastic tissue degeneration, microvessel damage and intracellular ageing – are the same that are responsible for the development of earlobe creases. Supporting this is the fact that the earlobe crease is only rarely seen in children. Unfortunately, there is no one convincing mechanism. Taken in conjunction, most of the studies conducted clearly show an association between earlobe creases and heart disease. In fact, most studies – including the larger ones – suggest that this association is true and conclude the association cannot be explained by other risk factors. Unfortunately, although research supports an association as of yet we don’t have a convincing explanation as to why earlobe crease would be associated with heart disease. The modern day approach to detecting heart disease has likely limited the usefulness of Frank’s sign. Although the earlobe crease may be associated with coronary artery disease (CAD), its sensitivity for detecting this is nowhere near that of stress tests, CT scores, or angiograms. The presence of the earlobe crease may be used to identify those who are at higher risk and should therefore have close attention paid to the presence of risk factors such as blood pressure and cholesterol. If you have an earlobe crease, don’t panic. Instead, adopt a proactive approach to the prevention of coronary heart disease such as a healthy diet, prevention of diabetes, active lifestyle and other measures to prevent the onset and progression of coronary disease. I read the large recent study and a diagonal earlobe crease was associated with a 9% increase in risk. So, if I have a 10% risk of heart disease, my risk now goes up to 10.9%. That’s not much. If my risk is 1% (which it actually is now), my risk goes up to a whopping 1.09%. You are scaring people for a measly 9% increase in risk! Eating a single donut once a month probably increases your risk more than 9%. Must be that “new math”. I get 19% as well. Could just be wishful thinking… or an addiction to donuts. His math is correct. You 2 are not. I think worrying about it will bring your chance of heart disease up 25% or more. Why don’t you just Live right and relax! You are incorrect. 10% plus 9 % is 19%. It is not 10.9%. Keep in mind .9% is less than one full percent. I think the original person meant that the risk is 109% of the original risk. Or 1.09 times more. 10% * 1.09 = 10.9% As the original person said! In the scientific realm figures less than 1 are always preceded by a 0 as it can be very easy to miss a simple dot preceding a digit; e.g. : 0.19 etc. This helps to minimize errors which could be catastrophic in some situations. No, the percentages are not simply added together! For example, if someone had two conditions that were each associated with a 60% risk of heart disease, the risk does NOT become 120% (greater than 100% chance — impossible). You all could have gone for a good brisk walk instead of arguing about percentages. I think walking will do my earlobes and heart more good than sitting around figuring my chances. Frank’s name appears for 1973, but the definitive study at the time came out in 1974 by Ed Lichstein, et al. I have 0% interest in your numbers or any others, I just wanted to jump in. I’m 63, 5’8″, 210 lb, (yes, semi-fat) but I’m very active, walk a lot, even run some and exercise a good bit. One of six boys, my Dad had his first heart attack at 49, went through several by pass surgeries and lived to be 85. Mom was very obese, didn’t take care of herself at all, worried about everything and died at 72. (By the way she was the character they used for Raymond’s mom on Everybody Loves Raymond). My oldest brother died at 47 from leukemia, no heart issues, another died at 56 from a heart attack, autopsy said he had a very enlarged heart that had not been diagnosed. He smoked heavily, drank 2-3 gallons of bitter tea every day and didn’t take care of himself either. I say all that to say this, Dad lived through the great depression, from a large poor family, was a WWII vet in artillery, fought in The Bulge, got a Purple Heart and “raised 6 boys”! Do you think that just by chance, STRESS may have had something to do with it. He and everyone in my family have CREASES in their ears! I’ve had them as long as I can remember. The one in my left ear looks like the grand canyon, you could drive a semi through it. I have NO symptoms, feel great, have known about the Earlobe Crease theory forever and even mentioned it to doctors (one a cardiologist) and each generally said don’t worry about it. I’ve spent the last 2 hours reading about Kapha and all of those opinions and others, bringing me to my POINT! I do not let anything or anybody bother me. I watch out for STRESS as my number one enemy! The battlefield of the Mind. What are thinking on? Guard your thoughts and faith and your body WILL follow! . . . Course that’s just my “Opinion”. The recent study was one of many studies, that confirmed the association of earlobe crease and heart disease as referenced in the article. Without getting in to a detailed discussion on statistics, the 9% was actually an adjusted risk, and does not represent the true on the ground risk that is of course much greater. Ultimately the adjusted risk is not as useful in this context. What the adjusted risk attempts to tease out is whether this is an independent risk factor. The logical way to interpret the earlobe crease is as a marker of heart disease, not a cause. A marker that is representative of the multiple underlying risk factors for heart disease. For that reason the much higher unadjusted risk should be used in this setting. So if you have an earlobe crease treat the underlying risk factors as mentioned in the article. The purpose of the article is not to scare people, but rather to help them take simple measures to address their risk of heart disease. If someone has an earlobe crease it is clearly a marker of risk, so it is worth going and having your risk of heart disease checked and risk factors addressed and this is extremely important in risk reduction. To the best of my knowledge there are no good studies that systematically examine the effect of eating a single donut a month on risk of heart disease, so i cant comment on that. There are however several good studies that examine the association of earlobe crease and heart disease. Thanks for your comment, we appreciate your interaction! I read about this study a “couple of years ago” after having a heart by-pass 2008 at the age of 49. Not only do i have one but two creases. I have had 3 stents since my by pass. My husband has creases along with other high risk factors. I have made him an appt with my cardiologist. I will be pointing that out to him. I have also started noticing patients in the waiting area and MOST of them have the creases. Just saying…. I found this site really interesting due to the fact that I have had a crease in my left ear for as long as I can remember. I was born with a hole in my heart which closed as I got older. I used to have to have tests every year – last one when I was 15 – running up and down stairs and then drinking stuff that tasted and looked like a mix of flour and water but showed up on some screen that I had to stand behind if memory serves me correct. My participation in sports was curtailed. My right ear now has a crease in it but then I am 74 and over weight. I think next time I go to the Dr I will have a check up! Well, you definitely have freaked me out. I am 34, have a total cholesterol of 128, HDL 41, LDL 80, TG 36. Blood pressure is 114/69, and I have Gilbert’s Syndrome which is associated with a significantly decreased incidence of heart disease. But I have a crease in my right ear. If I go to my doctor who knows my numbers, and I tell her “look at my ear”, chances are she is going to tell me to go home. Do you think I should demand an angiogram? I think you should be more flagrantly dramatic. Put a sock in it Buckwheat! The creases are usually bilateral (not just one ear). I feel so weird being freaked out about a wrinkle in my ear, but I am. I should also add that I don’t smoke, don’t have a family history of heart disease, and eat a ridiculous amount of fruit and vegetables daily. I don’t know what else I could do right. Please be careful about “ridiculous amounts of fruit”. Could have an adverse effect on your liver. I first noticed an ear crease, after I knew that I had high blood pressure and a calcifying valve. I agreed to surgery. I had five bypasses, a bovine valve installed and an ablation. My crease went away. Wow. That is very interesting. Im not familiar with earlobe creases disappearing after the treatment of the heart disease. My mom had a similar experience, with a bovine valve installed and a couple of bypasses. Her crease went away, too! We were aware of the crease factor back in the 60’s, when my grandmother’s Japanese healer let my family know about it. Why is this a correlation?.. what is the connection between the ear and the heart. or have there just been studies of people with coronary episodes and they all had a creased earlobe? Its a correlation, and felt to be a marker of heart disease. There have been many theories as to why this would be the case although nothing has been proven as the mechanism. Some researchers feel that development of the crease may indicate premature aging and loss of dermal and vascular elastic fibers. I have one earlobe crease (my right earlobe) but it is interesting that I only sleep on that side. hmmmmm…..what’s the correlation? I am a 55 yr old female with creases in both ears. BP and cholesterol normal though HR runs on the high side of normal. Have seen multiple cardiologist and had repeated stress tests, ekgs and halter monitors all normal. What tests should I request? I’ve mentioned Frank Sign and they are unfamiliar. I’m worried. I wouldnt worry, it seems you’ve passed tests with flying colors and have no suymptoms. Yes. My brother in law had the worst creases I’ve seen. He had two stents put in and those creases are gone. My husband had a heart attack at the age of 48. He never had an earlobe crease. Bill died of a massive heart attack on 12/16/2012. So in our case this study did not hold true. Hi Vicki, very sorry for your loss. Although the earlobe crease is considered a specific sign of heart disease it is not considered a sensitive sign. This means that although people with an earlobe crease are at increased risk of a heart attack, most those having a heart attack will not have an earlobe crease. My friend has a brain injury and not much use of his left side of his body. He retains fluid on his left side as well. Hand, wrist, leg, foot. I noticed he has a crease on his left ear lobe but not his right. I’d it only one ear? Both? Or does it matter? In Ayurvedic medicine a diagonal earlobe crease indicates increased a kapha imbalance, or high kapha. Kapha imbalances include tissue laxity, fluid retention, sluggishness, general dampness, and congestion. A kapha reducing/balancing diet and herbal protocol addresses it. Erik, can you elaborate? I only have one ear crease (starts at inner ear edge and goes diagonally to where my pierced ear hole is). I have low BP (~96/58), low-normal cholesterol levels– however, I do have many food allergies. My body is often inflamed due to ingestion (sometimes unknowingly) of these foods. See, I’ve had easy to see ear lobe creases since childhood. My cholesterol and blood pressure are fine, and I’ve had more that one EKG and even an ultra sound that turned nothing up. My doctor tells me not to worry, but I have a fairly steady discomfort in my left chest/armpit area. 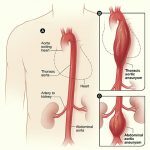 That discomfort admittedly feels to be more in the ribs/muscle, but what do I know? Is there any test I can take to truly rule out a current heart issue? There are many tests to detect the risk of heart disease or clinical features, and each have their pros and cons. In general the best test is direct visualisation with a coronary angiogram but this is an invasive test (carrying risks) so should only be done if there is a clinical need. You would be better off having non invasive tests initially such as a CT coronary angiogram and a stress test. Your Physician should be able to discuss these further with you. What if your baby was born with creases in both ears? Does that mean she is at high risk? What I don’t understand is – are these creases that develop later in life only? Or creases you are born with? Its generally thought of as an acquired and not congenital finding. Basically meaning the ones that are associated with heart disease are the ones that develop later in life. Dr. Ahmed, I appreciate your monitoring of this site and responding/clarifying poster’s concerns. It’s reassuring to have a doctor in the forum. My son was born with creases in both ears ,he has had a very active life ,8 years in the military, very athletic,a picture of health, now at 31 out of the blue he been struck with heart disease and getting ready to have surgery. My husbands mother is a nurse and pointed out the creases in his earlobes correlate with studies on folks with heart disease. He is a heavy drinker (mainly beer) and smoker. But, he is very active, works very hard in a shipyard and plays golf as often as he can. I had him go to the dr this morning. They did an EKG and signed him off as fine. Should we request further tests? I have had ear lobe creases on and off since I was a teen. I usually get them when me face (nose especially) breaks out. They always go away when my face clears up. I am now 62 years old and officiate football 2-4 times per week. Any worries? I’m 38, male. 161 LB’s, 6.0 tall. BP averages 140/82. Tri 55. HDL 87. LDL 85. Doctor says I’m super healthy and have no risk factors, he won’t even let me take a stress test because he says there’s no need for it. I noticed a line back when I was around 30 years old. My 20’s were not the healthiest. But for the past 15 years I worked out a lot, almost daily.. cycling, running, sprinting, light weights, etc. Changed my diet too, WF’s only. It won’t go away…there must be a way to reverse this “marker” for a fatal disease? And if I did have a risk (The line has been there for a long time), wouldn’t I feel pains if my vascular walls were degenerating? My GP noticed a crease in both ears during my last physical. I am in my late 50’s & being treated for HP & have a history of cardivascular issues on both maternal & paternal sides. Recently diagnosed with dystolic dysfunction (stiff heart), a blockage in one artery & angina. Never noticed the ear creases until my doctor said something. Glad she did as I am now being treated & keep a watchful eye on diet & exercuse. I am a believer in the ear crease theory! Interestingly enough, I had a creas developer in my ear about a year before I began having bouts of SVT. I have since had an ablation. It helps but due to many syncope Episodes, I am currently wearing compression stockings and a Holter Monitor for 30 days. My doctors are considering, POTS at this point. The article is very interesting and thought provoking. The incidence of earlobe crease is substantially greater in those individuals with attached earlobes (as opposed to unattached or hanging). I would posit that the creasing effect is merely a manifestation of the proximity of the lobe to the head itself: in other words the creasing is caused by mechanical phenomena rather than a relationship with cardiovascular condition. Was this taken into account by the various studies? I have attached earlobes. They are (were) creased. As an experiment, I massaged my own lobes daily for a period of three months and applied moisturizer. The lobes are now smooth and bereft of creasing. If there were an underlying cardiovascular connection, how should this be interpreted in light of the now crease free lobes? The ear in total represents the full human body. If you look at the ear it looks like a human embryo, head downwards…with the head being the lobe and the ‘outer shell shape’ representing the back or spine of the embryo/person with inner organs represented on the inside of the shell. When a crease occurs across the earlobe it is where the representation of the neck is. The crease represents the cutting off of oxygen to the brain from the heart attack or heart issues which causes the stoppage of the blood flow to the head, and the body. The crease tells of this possibility/probability. You only need look at an acupuncture chart of the ear and imagine a baby in the womb so to speak. I trust this helps. Thank you for this info. What I find super interesting is my fathers ear creases disappeared completely after his heart surgery 10 years ago and never returned . “The presence of an ear lobe crease (ELC) is neither especially sensitive nor specific for Coronary artery disease (CAD), when compared to other known risk factors it does appear to be useful. Thus, we propose that ELC may be a useful additional marker for identifying patients with CAD”. In other words evaluate heart disease with known tests. This is not a way to look at your neighbor’s creased ears and say they have heart disease. Earlobe creases increase with age. So does heart disease. Mystery solved. So this is something i notice on people all the time. For 15 years i worked as a nurse in a cardio thoracic ICU. It was 16 beds and busy, before stents and statins took off. Most of our patients had a CABG coronary artery bypass graft, but some had a valve replacement. We (fellow nurses) would bet a newer nurse we could tell by looking at their earlobes which was which. We always won. I have a blood pressure within normal range and my cholesterol levels are in the normal ranges. Triglycerides level is also within the normal range. I have a crease in my left earlobe but not the right one. The crease in my left earlobe is coincidentally there along with two ear piercings whereas I have only one ear piercing in the right earlobe. Is the weight from two earrings in the left lobe contributing to this crease?? Which comes first? The chicken or the egg? i.e., does the crease appear when heart disease is in process or does the crease appear prior to heart disease? Crease is thought to be a secondary process. Dr. Ahmed, I have had bilateral ear lobe creases in my early 30’s. I am a 40 year old female now. Both parents and a younger brother with heart disease. I have dyslipidemia, low HDL, hypercalcemia/hypercalciuria, hypertension, polycystic ovarian syndrome w/ high testosterone, now secondary hypothyroidism due to pituitary dysfunction. Should I have a cardiac angiogram? Reason I ask is many but of concern to me is a Ct of chest that I had that had some abnormality on heart that radiologist did it comment on. I don’t know if it is calcification or what it is but was wondering if I should have an angiogram? Recently, both my legs turn dusky in color when I sit or stand. I have never smoked. An angiogram in this setting is generally not advised. Some form of stress testing my be reasonable in the setting of high risk. I noticed a crease on my left ear when I was 41. 6 months later I had a heart attack. 3 years later I noticed that my right ear had developed a crease with a subsequent heart attack shortly thereafter. Coincidence? I’m a 63 year old male, slender, and I eat well. I’ve played tennis 2-3 times a week. My cholesterol is usually ok but my HDL hovers around 40 and my LDL and triglycerides are high. I should’ve been on a statin 10 years ago but I wanted to try to control the #’s with diet and exercise. Lately I had been short of breath and noticed a tingling in my left arm. Primary care sent me in for a stress test and it showed I had multiple blockages. Angiogram the following morning and 1 stent was put in; the 2nd stent will be done in two weeks. And yes, I do have a crease in my right ear lobe. I had asked my doctor about this years ago, but he said the evidence was anecdotal. So, in retrospect, I did give credence to the suggestion that an ear lobe crease can denote CAD. Good luck to you all – stay healthy. I only notice one small crease on each earlobe shortly after waking up. And then it goes away for the remainder of the day. And my earlobe creases don’t happen everyday. So what do you make of that? Any help is appreciated. Thats interesting, im not familiar with intermittently appearing earlobe creases. Same, mine appears on my left ear in the morning then goes away. I sleep on my left side a lot. I’m only 33 and have no signs of heart disease. I think it’s from sleeping on your ear with the side of your head smashed into the pillow. I am 65. I did not have earlobe creases a few years ago. I suffered a VT storm in September 2016. At the time my wife noticed creases in my lobes. The right ear was the worst with a wound actually forming along the crease line. Since treatment (amiodarone and ICD) the left crease disappeared and the right one improved (the wound healed). In the last few days I have not been feeling well and the wound on the right ear lobe crease has reappeared. I do not have CAD but do have a “tiny” scar on the left ventricle of uncertain origin. My cholesterol has always been below normal range, I have never been more than a few pounds overweight and I have exercised regularly (moderate weights and track running) since my 20s. I worry that maybe I overdid the exercise. I am 65. I suffered a VT storm event in September 2016. I did not have earlobe creases a few years ago but they were present at the time of the event. The right lobe crease actually formed a wound. I was treated (amiodarone and ICD) and the left lobe crease went away and the wound healed and crease lessened on the right lobe. The VT was put down to a “tiny” scar on my left ventricle of uncertain origin. In the last few days I have been a bit stressed and not feeling well and a wound has appeared on the right lobe crease. This worries me. I do not have CAD, have never been more than very slightly overweight, have extremely low cholesterol, mostly normal blood pressure and have exercised regularly all of my adult life. If anything, I worry that I may have overdone the exercise (weights and track running). I stopped running after the VT event. I have one on my left ear but I notice (google images) that the diagonal is always pointing backwards mimicing a line drawn between the forehead to the shoulders, mine goes the other way. (back of head to chest) Any thoughts, does this mean I’m excluded? İ have a 12 -13 of year earlobe crease. İ am 28 year old now. Am i afraid ? I’m 40 and have a crease on both ears ( matching,confirmed by my girlfriend ) I don’t have an amazingly healthy life style. I went to the doctors about 6 months ago and had an ecg. Came back all clear. I get chest pain and work as a removals man. Died at 43 years old. A curious question – I have worn heavy pierced-earrings for ever (from 18yrs to 66yrs now) and have creases running into & past the earring holes slightly diagonally to the bottom edge. (larger ears & earlobes, holes higher up on lobe, can even wiggle my ears. ) Would this be the same type of crease, or have the heavy earrings created a line along the skin tension or cleavage lines? Thats a great question and I’m not sure anyone knows the answer! I thought my ELCs were from wearing my earrings to bed 1 night, which I hadn’t done in many years. Had an ELC on left earlobe 1st, but haven’t slept on my right side in about 5 months due to major back surgery & hip pain. I’m 58, can’t afford to eat as healthy as I would like, am on a statin due to poor cholesterol & super high trygliceride numbers, get very little exercise since the back surgery ( & past 2 1/2 yrs due to back & hip pain), don’t drink or take anything not prescribed to me, have maternal & paternal risk factors, smoke 6 or 7 cigarettes daily, so ELCs didn’t surprise me. Within 2 weeks of getting ELC on 1 side I got ELC on the other side. To me this indicates that I’m at a higher risk of a cardiac event than before the ELCs. I plan to bring this up at my annual physical next month & find out what I can do at this stage of healing to lower my risk. If nothing else, this is a valuable tool. Before the back issues I was very active, ate healthier, rarely smoked, but had many other CAD risk factors. I wouldn’t scoff at what I’m not an expert in, but I won’t panic, either. Great article, so, thanx! My father had bilateral creases. He died at age 95 without having ever overtly suffered from coronary artery disease. I’ve read several of these articles now and am starting to panic. I have creases starting from the site of my piercings in my earlobes to the edge of my earlobes. I didn’t used to have them. I am 40 yrs old. I also have a connective tissue disorder called Ehlers-Danlos syndrome that can effect the collagen/elasticity of the skin. I always wondered if it was due to this. I have had yearly blood test health screenings with cholesterol, etc for the past nine years and never had anything pop up. I’ve had an echocardiogram ten years ago but that was before the creases appeared. Should I be requesting to see a cardiologist over this? No cause for panic. There is a chance that the connective tissue disorder can be associated with the creases and that does not necessarily confer an increased risk of coronary heart disease. If you are truly asymptomatic then i would recommend that you simply address any cardiac risk factors. If you have symptoms such as shortness of breath or chest pain you should see a cardiologist. It sounds like you are on top of things. My Mom had earlobe creases for many years and lived to be 93, with no known blockages in her arteries. I’m sure there are exceptions. My Dad also had them and had a heart attack at 62. Totally agree. There are absolutely tonnes of exceptions, its simply an association. Many many people with earlobe creases will likely never experience cardiovascular issues. I am a 52 year old woman with creases that developed in my ears in my mid thirties after I had an aneurism from taking 2 metabolic booster pills right before I did Tae Bo. I was a smoker who had jumped on the ” phen phen train ” getting diet pills from Mexico. I no longer smoke for 4 years now. But when I was caring for my father was dying, 8 months ago, my chest would feel so tight at times. I don’t have any diseases. I had insurance for one year last year and had a physical. No special testing though, because I hadn’t had tightness in my chest yet. Now I have no insurance, going through menopause, and feel like I’m doomed now. Lol! You should not worry about being doomed! Just pay close attention to risk factors and lifestyle to minimize your risk. My husband noticed a crease in my earlobe, so I went to look at it in the mirror and noticed I have them on both sides. I Googled earlobe creases thinking that I probably needed to drink more water, or change sleeping positions to get rid of them. Boy was I shocked to see this kind of information! I am a very young looking and young acting 52 year old woman, 105 lb, low blood pressure. I do have an immune disease called cvid, allergies, asthma, acid reflux. How concerned should I be? I would start by saying don’t be too concerned. I would just use it a a reason to go and have a check up with a comprehensive cardiovascular disease risk factor assessment. If you are doing well otherwise with no symptoms and no other cause for concern i wouldn’t do anything other than that. 52 is the new 32! I have digestive problems namely weak (low) stomach acid. From that is poor mineral absorption, cramps, acid reflux, bloating and other problems. Betaine HCl and enzymes or bitters help tremendously. Something to consider. İ am 30 years old and i have a earlobe crease. My angiography results show clean my arterys. Am i afraid? Probably no need to be afraid. Probably or exact ? Thank you Doctor for yours answer.. Probably, there are no exacts in medicine. İ have a earlobe crease but my angiography results are clean. My artery is not blocked. İ am 30 years old. Am i afraid.. I have a deep crease in my left lobe and a crease the shape of a cross in my right ear lobe. I am 64 years old a female and I have my cholesterol under control and my blood pressure is good. My only medical problem has been a long history of migraine headaches. Should I be considering something I may not have thought of? No, not if you have no symptoms. You should simply do as you are and have regular check ups and attention to cardiac risk factors. As of last week my husband was diagnosed with Amyloidosis. He presented with a droopy eye lid and was told he had a mass in the eye. We now know it is behind the eye as well. He had surgery to perform a biopsy thinking it was a lymphoma. The biopsy is inconclusive with the lymphoma as the piece was big enough but big enough to determine Amyloidosis. He went to a dermatologist today for an unrelated skin check, his family members all have had melanoma. The doctor noticed the Franks Crease immediately. I then explained about the new diagnosis and that we are waiting for a internal medicine appointment. He assured us both that his blood work and heart would be looked at. Amyloidosis does cause heart issues.. just a comment from me..
İ have a question.is the earlobe crease show a heart disease or is it risc factor. i have an earlobe crease but my artery is not blocked. Which is first occuring. When The earlobe crease is available but a heart disease is not available what does it mean? Its a fully integrated approach that is recommended no one thing alone. The reality is that personal responsibility is at the center of this. Lifestyle improvement, stopping drugs, no smoking, diabetes control, bp control, follow up and medicines as recommended, exercise, dietary modification with some form of plan considered healthy. I am a 35 year old woman, don’t smoke or drink, did smoke years ago but quit. I’ve noticed for years now that on my right ear where it’s pierced there’s a line that creases or folds or pulls back from the hole and covers it. It’s very small not even an inch Maybe even in mm. I found I got this in my 20s from wearing very very heavy hooped and dangly earrings. Is this possible that it’s stretched somehow?? I would like to see the earlobe crease data for people who are cleared with coronal heart disease. I would also like to see if the earlobe crease is more obvious on the side of ear of people more accustom to sleep on. All creases on face appear closely at the area your face muscles contraction or areas they tended to fold. They come with ageing and with repeat, prolonged folding, squeezing at any part of human body! I have an earlobe crease in my left earlobe that starts from a ear piercing hole and goes almost to the edge of my earlobe. It is not above the piercing towards my ear canal and is not very deep. I have no creases in my right ear. Would this type of crease be consistent with these studies? Or is a crease in both ears more indicative of a cardiovascular disease correlation? I’m 39, overweight (BMI 28), former smoker with a family history of heart disease, mild hypertension (135/70), have controlled sleep apnea, and have been on statins since my early 30s. I’m quite active (gym 4 – 5 days a week split between heavy weight lifting and cardio), golf, alpine ski, and walk my dog 4x a week. I was an athlete as a kid and still eat like I can get away with anything, unfortunately. Yesterday, having only first heard of Frank’s Sign, I noticed that I have a deep diagonal crease in my left earlobe. I had a stress test a few years ago, due to anxiety attacks, and wanted to check the heart disease box, so to speak. It took the Dr. 14 minutes to get my heart rate up to the testable level, and the found no issues. However, due to my family history and risks (weight, former smoker, mild hypertension), this makes me nervous. I’ll certainly consult my family physician with my next appointment, but I’d be curious if other tests would be advisable. Careful history and physical from a good Dr. Recognition of development of symptoms. And when appropriate, non invasive testing such as stress testing. I’ve got two big creases on both both ear,logs so I got 4! I am 47 years old, I weight 210lbs. I am active. I’ve no known health problems. I take no medication. I do drink 2 per day, down from 4 per day. Doctor says I have perfect cholesterol and blood pressure. Question, is it still possible for me to have heart disease based on my earlobe creases? 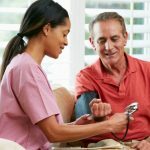 It’s possible to have heart disease despite excellent bp and cholesterol although chances are likely decreased. Someone should forward this article to a certain person with earlobe creases. His postal address is 1600 Pennsylvania Ave. NW, Washington, DC, 20500 and his e-mail is president@whitehouse.gov. He thinks he’s healthier than any of his 44 predecessors. i have a Pots syndrome. Does this disease cause the earlobe crease ? i have a pots syndrome. does this disease cause of the earlobe crease ? Thankyou for starting this forum and twitter. I am a health professional and health and wellness coach, and bearer of two creases having two parents who has 4x bypass grafts in their 50s so have been very aware of my risk. Do you happen to notice that people who have the creases have a higher incidence of allergies, autoimmune or inflammatory disease etc. When I found out about the creases Several years ago I became first scared … then very motivated. I do short cardiac work out for 30 min 5x a week take coq10 and hawthorn and eat a low inflammatory gluten dairy soy free diet as I have multiples food intolerances. I think inflammation is a risk factor I do online research into evidence based lifestyle strategies to reduce and reverse disease for my patients. I want to better understand the link with collagen or underlying structures and if there are any nutrients that may support that. I recently saw creases in my lobes in the past week, and, looking up the issue came upon this site. I do have a factor or two suggesting heart issues but generally live a healthy life style. Naturally I became concerned and have scheduled an appointment with my physician. However, my stress level has decreased immensely when I realized that the new headphones I have worn the past two weeks is causing the creasing. I still intend to follow up but a lot less stressed. I believe this. I have been going to funerals since the 1980s when I was a kid and one thing I noticed on many of the deceased back then and now were creased earlobes. I wondered, even up until a few years ago why I always saw this on the dead? Not all but many of the deceased that I viewed had these creases and it turns out many of them died from heart-related issues. Every part of the body has a purpose. Best thing to do is seek regular care, pay attention to risk factors and make modifications where necessary. I was referred to a cardiologist three years ago because of dizzy spells. I have a clearly defined crease on each ear, and I asked him even before he assessed me if this meant I was likely to have coronary problems. He said that it wasn’t an ‘old wives’ tale’, there is a correlation but that nobody understands why. All the tests with ECG etc were good and I think he would normally have stopped there, especially because I also have atrophy of the cerebellum, which could be an explanation for disorientation. However, partly because of the crease, he then carried out a very detailed scan of my heart and of intra-pulmonary blood pressures, and this revealed that one of the valves was beginning to leak and fail. The cardiologist told me that it would eventually need replacing but that it was best to monitor the situation for a bit longer, because the operation even today carries significant risk. So maybe this is the beginning of an identification of how how this correlation actually works: it is to do with failure of blood supply and muscle/skin tone at a very micro-level. I’d be interested to hear if this is a line being pursued by medical research – and indeed if there is any correlation between ear creasing, cardio problems and cerebellar atrophy (very rarely diagnosed because it requires a particular type of MRI scanner). In the meantime, I do feel myself slowly deteriorating on the dizziness front,and am going for my six-monthly check just after Xmas. if you look carefully, 99% of heart disease patients have two legs. My son is 18 and has deep creases on both ears. He is currently taking isotretion for acne. Could there be a link.? I am 50 yo overweight female. I had a calcium heart scan last year and my score was zero. BP is normal. Cholesterol is 184 now, but was 260 last year, taking red yeast rice and CoQ10 brought it in normal range. I just noticed creases in both ears. Should I talk to my dr about this? Dr. Ahmed is an interventional cardiologist and Director of Structural Heart Disease at Princeton-Baptist Hospital. With more 75 peer-reviewed medical publications to date, his professional and academic contributions to advancing structural heart care are internationally recognized.